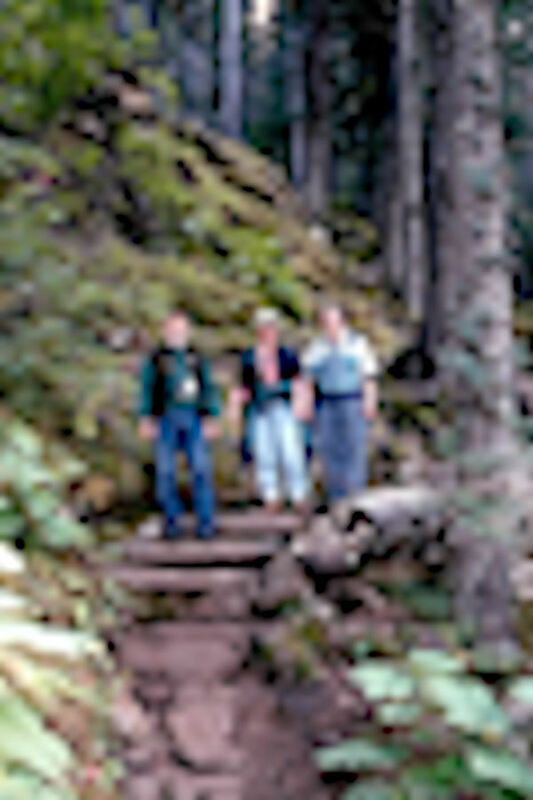 On this adventure you'll retrace the steps of the Gold Rush stampeders on the infamous Chilkoot Trail, hiking through a moss-covered northern temperate rainforest for 2 miles. The hike is 1.5 to 2 hours and is moderately difficult over uneven and hilly terrain (elevation gain of 300 feet) for the first mile, then mostly flat ground for the remainder. After the one way hike, suit up in life jackets and rubber boots and enjoy your float in the tranquil Taiya River. Keep your eyes open and camera ready to spot Bald Eagles and other potential wildlife. You will be on the river for approximately 40 minutes. All participants must sign a visitors acknowledgment of risk before participating in this tour. Children under 18 will be required to have a parent or legal guardian sign this form. Please note: Minimum age of participants is 5. This tour operates in both sunny and rainy weather so please dress in layers for your comfort. Waterproof jackets are advised in case of rain. Additional rain poncho and rubber boots (in place of your shoes) are provided for the raft portion only. Departure times availability may vary by date. Maximum number of passengers per group/raft is 11. Please wear sturdy walking shoes. Bring your camera. The rafting portion of this trip contains no whitewater. All participants will be asked to sign an acknowledgement of the risks at the time of the tour. Children under 18 are required to have a parent or legal guardian sign this form. Minimum age is 5.